Mars thinks – Unfortunately for you all, Venus’s opinion will not be given today. I think we’re missing a treat– something tells me that she’d have a comical take on today’s look. Although I’m a fan of these two, individually and as a couple, I am not a fan of fur coats. This is likely impacting my critique. 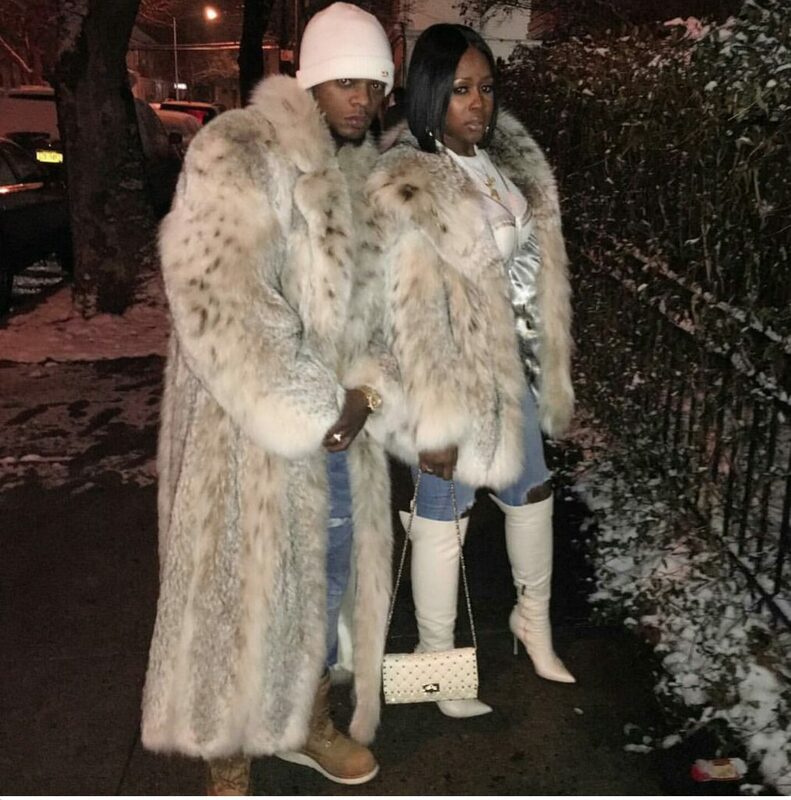 The first thing that jumps out to me is his coat is longer than hers. Isn’t that odd? Bridgette thinks – Hey, y’all! I’m filling in for Venus today. When I see this pic I immediately think HARLEM! even though I don’t believe either Papoose or Remy Ma are from the famed upper Manhattan neighborhood. (Folks outside of NYC might not get this.) These two are one of Triple B’s fave celebrity couples. Now that this is out of the way: Neither of these looks are my cup of tea. The matching fur coats border on being gaudy in my opinion. However I love how they both own their outfits from head to toe and they are stepping out together with a unified front. There’s something truly refreshing and admirable about that. Check out what Mars and Venus had to say recently here! Those two can get away with that. Looks good on them, but not my style.